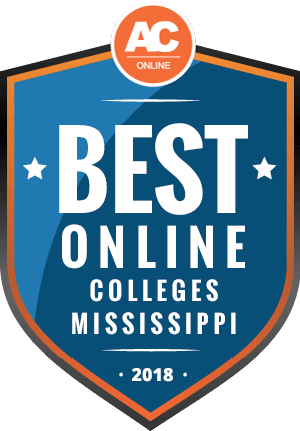 Why Choose Mississippi for Online Higher Education? Whether living in Mississippi or out-of-state, students who choose to pursue an online degree in Mississippi have a wide array of options. Mississippi colleges feature lower-than-average tuition rates and a growing selection of online offerings. Any decision regarding your college education can be difficult; this guide is designed to help. Below, you’ll find answers to frequently asked questions, discussions of tuition costs, and a ranking of the most affordable online schools the state has to offer. Online universities in Mississippi offer an excellent opportunity for parents, working professionals, and those looking for a career change to get the education they need. For those living outside of the state, Mississippi’s low tuition rates can help make higher education more accessible to more people. Any decision involving higher education must factor in cost, and Mississippi’s tuition can be lower than other states. In particular, out-of-state tuition costs in Mississippi are noticeably cheaper than the national average. Students relocating to Mississippi should research carefully, as Mississippi has a number of distinctions which can make gaining residency confusing. Prospective applicants must live in Mississippi for at least 12 months to establish residency. Students in Mississippi pay around $1,000 less per year for in-state tuition, and about $6,000 less for out-of-state than the national average. Many students mix online and on-campus courses. Of those taking courses exclusively online, more tend to be graduate students. For students with work or family obligations, online programs offer a flexible format. Mississippi is a member state in the Southern Regional Education Board, and participates in the organization’s Academic Common Market program. This program allows students from one participating state to attend colleges and universities in another at reduced tuition rates. Though the details can vary, and not all schools in those states participate, this can allow students to study at out-of-state colleges while paying in-state tuition rates. There are more than 1,900 graduate and undergraduate programs represented within the Academic Common Market over 15 states. Every state has different standards and policies regarding higher education, and students should be aware that schools can only offer online programs in states where they have authorization to do so. The National Council for State Authorization Reciprocity Agreements (NC-SARA) works to streamline this process and help expand online education throughout the country. Students should ensure that any Mississippi online college they are interested in attending has such authorization. This information can typically be located on the school’s website. The following is a ranking of Mississippi’s most affordable online schools. Our rankings take into consideration many factors, including the average cost of tuition, programs offered, and the graduation rate of each college or university. The data we use comes from the Department of Education’s Integrated Postsecondary Education Data System (IPEDS). Our hope is students will use these rankings to find the online college in Mississippi that works best for them as they pursue their education. This section covers some frequently asked questions about online colleges in Mississippi, as well as answers that can help you get find the right program for you. Do online credits cost more or less in Mississippi? Online tuition for Mississippi colleges is cheaper than in many other states. When considering where to study, expect Mississippi colleges to offer some of the most affordable online tuition. Two-year colleges, also called community colleges or junior colleges, will generally be the cheapest option. Public four-year universities will have higher rates, with most private universities charging the highest tuitions. Averages are not representative of every school, and tuition rates will vary from one online college to the next. Some may charge more for tuition than schools in other states, so you will need to compare the tuition rates of each school you’re considering. If you are already a Mississippi resident, choosing to study online at one of the more expensive schools in the state can save you money by allowing you to earn your degree without moving or housing costs. Which Mississippi schools accept the most transfer credits? Every school has its own guidelines for how many credits students can transfer. A bachelor’s degree requires 120 credits total, and some public universities will only allow you to transfer half, or fewer of those credits. Private universities, on the other hand, may allow you to transfer more credits. Online programs can be more generous with transfer credits, especially those aimed at helping working adults complete a degree. Prospective transfer students should carefully research the policy of transferring credits to any school they are interested in attending. While you may not be able to transfer all of your credits, any amount will help reduce both the cost and time you spend finishing a program. Will any online colleges in Mississippi accept a GED? The United States Department of Education, as well as most government departments, considers the GED to be the equivalent of a high school diploma. As such, most online schools in Mississippi accept GED scores in lieu of a diploma and high school transcripts. It is not uncommon; however, for universities to set minimum GPAs for high school students. Private universities may be more particular about accepting students with a GED. If you are concerned about your ability to get into a given school with a GED, attending a community college first may be helpful, as these schools welcome all applicants with a GED. GED applicants can use these classes to build and enhance their GPA before transferring to a four-year university. As always, students should make sure to check the transfer options for their destination school to make sure they can apply their credits. How many academic terms per year do online colleges in Mississippi offer? Most colleges and universities adhere to one of three scheduling systems: semesters, trimesters, and quarters. The semester model splits the year into two periods of 15-16 weeks, typically the fall, spring, and summer. Schools with trimesters split the year into three periods of four months, while those with quarters use four, three-month periods. Many online programs in Mississippi will follow these same patterns, especially if they are exclusively online classes among the normal on-campus offerings. Some courses are offered in accelerated formats, wherein the same amount of work is done in a reduced time frame, often eight weeks. Technical and vocational programs are more likely to feature shorter courses or more flexible start dates. At universities with semesters, summer courses are sometimes offered in eight week models as well. For the majority of online colleges in Mississippi, students can expect courses to last three or four months each, typically starting in the fall and spring. Which online colleges in Mississippi will accept the FAFSA? The Free Application for Federal Student Aid (FAFSA) is how the Department of Education determines which students demonstrate financial need. Students who have financial need gain access to Pell Grants, subsidized student loans, and other funding opportunities. Most colleges and many private organizations offering scholarships based on financial need also make use of the data gathered in the FAFSA. Filing a FAFSA and having that information sent to the school is an increasingly common requirement for applications. As a general rule, administrators are not concerned with how a student comes by the money to pay for tuition and fees. As such, any school in Mississippi will accept the FAFSA. The channels opened by FAFSA make the process easier on students and administration, allowing students to spend less time worrying about how to pay for school, and more time focusing on classes. Are there any free online classes I can take from Mississippi colleges? It is possible to find free online courses offered by colleges and universities, but they are not common and generally come with some limitations. The most common free courses are offered online and not for credit. They are designed as continuing education, and are typically presented as video lectures. Some four-year public universities will offer free not-for-credit classes to senior citizens or other demographics. Community colleges are more likely to host free courses, but again, these rarely come with credit toward a degree or program. Free courses can be part of community outreach initiatives by colleges and universities. You can certainly find lectures, readings, and other potentially valuable and educational content online relevant to your field of study. How can I find the online program options at Mississippi colleges? You can learn about online colleges in Mississippi the same way you learn about on-campus offerings: by visiting the websites of the individual schools. You can start with the rankings in this guide to see which colleges offer online programs; then visit their website. You should always do ample research before you apply to a school. For colleges and universities that focus on their online offerings, an online search should point you in the right direction. In some cases schools offer an entire website dedicated to their distance programs. There are several scholarships, grants, and other financial aid opportunities available to students in Mississippi. The five options below are all provided by the state, and will give you a place to start looking for options that work for you. This scholarship can cover up to four years of tuition for residents of Mississippi graduating high school, or college freshmen within one year of graduating from high school. Applicants must demonstrate financial need, and have a GPA of 2.5 or higher, as well as an ACT score of 20 or higher. This grant is intended for incoming freshmen or upper class students who are working on their first certification or undergraduate degree. They must be a Mississippi resident with a 2.5 GPA in high school or college, a 15 or higher ACT score, or a GED or home school certificate. TThis grant is open to incoming freshmen who are residents of Mississippi and are beginning college within three years of graduating from high school or completing home school. They must have a 3.5 GPA and a 29 or higher on the ACT, or have a 3.5 college GPA and have completed between 12 and 18 credits. This scholarship is open to the dependent children or spouse of a police officer or firefighter who has been killed or permanently disabled in the line of duty. It covers tuition and average room and board costs for up to eight semesters at a Mississippi public community college or university. This scholarship is for graduating Mississippi high school students with a 2.5 GPA or higher, ACT score of 20 or higher, demonstrated leadership abilities, and financial need. The scholarship covers tuition and room and board costs for up to four years at public colleges or universities in the state.